There seems to be no shortage to Manchester United’s desire for apt attackers. Despite boasting of a squad that has the likes of Mata, Martial, Rashford, Lingard, and Alexis Sanchez occupying key forward wing roles, the Red Devils continue to be linked with wide players every transfer window. While this stems from Jose Mourinho’s insistent desire that a world-class forward has been lacking on United’s right-flank, young talents being looped into rumours brings into question the saga’s credibility. As of such, it comes as interesting news that United are linked with a right-winger. 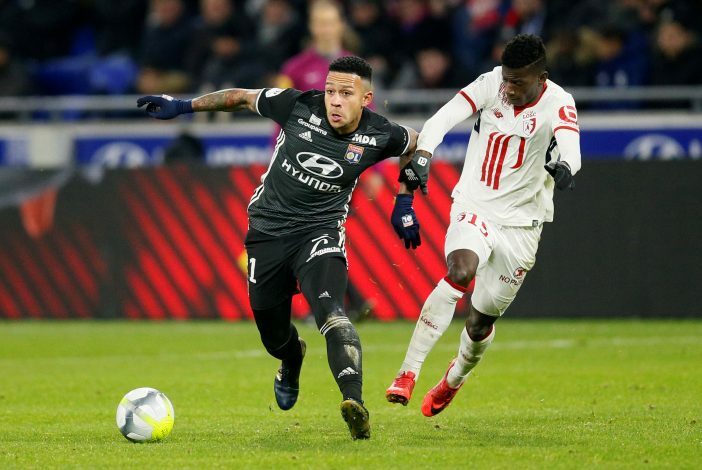 As per Telefoot (via MEN), Jose Mourinho and company have joined the race to sign Lille winger Nicolas Pepe. The 23-year-old was strongly linked with several top sides this past summer, with Southampton and Sevilla being the top names in the pursuit to sign the Ivory Coast international. Another Premier League giant interested in the player is Arsenal, as the Gunners are reported to be monitoring his availability, while United have allegedly sent scouts to observe his playing styles. For the Ligue 1 side, Pepe has scored 18 goals in 43 appearances, while for his country, he managed to net 3 goals in 8 appearances. The bigger question here is whether Old Trafford really needs yet another young and upcoming winger amongst their roster. With the squad already suffering from a surplus of talents and a lack of trust on part of Mourinho to deploy effective rotation, the arrival of the likes of Pepe can only jeopardize matters further. Besides, what he can do, the likes of Anthony Martial can certainly ape, if not better. Therefore, signing the youngster would put most of the Frenchman’s earnest supporters in a sour mood, as it is clearly the unhappy Martial that deserves game-time. In all likelihood, this saga won’t materialize into much, fizzling out into the linking with talent that clubs like Manchester United are prone to.